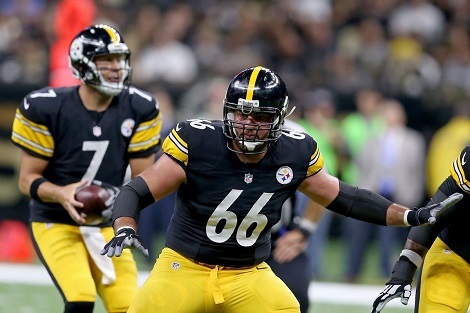 The Steelers made two moves ahead of free agency this past week when they signed offensive tackle Matt Feiler and punter Jordan Berry to one year contract extensions. The Jordan Berry signing comes as a bit of a surprise. Jordan Berry signed with the Steelers in 2015 and beat out fellow Australian Brad Wing during training camp. With three years of service in the league, Berry was due to become a restricted free agent, and could have held out for a restricted-free agent tender from the Steelers. Berry however, chose to skip the process and sign with the Steelers now. 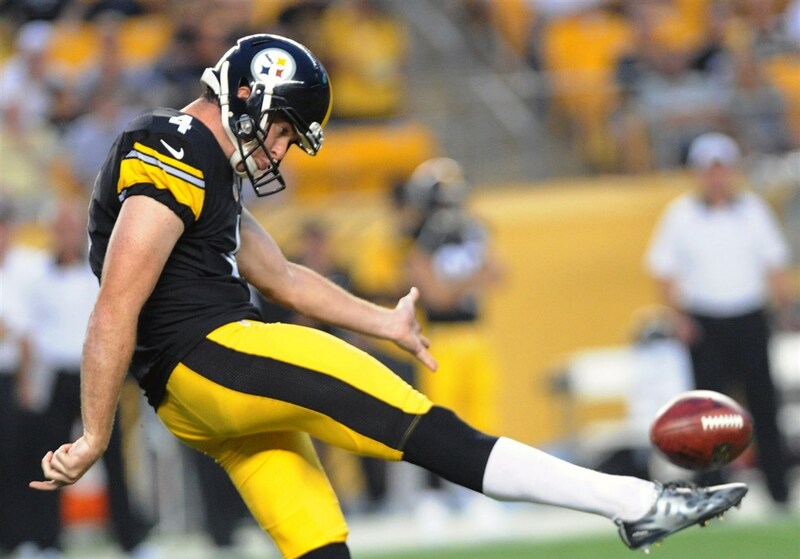 Jordan Berry’s gross punting average of 43.2 yards per punt ranks him last 32nd among NFL punters. However, Berry’s net average of 39.8 is good enough to get him out of the basement, and ranks him as 24th. 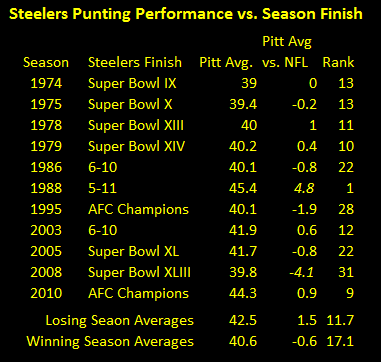 Quality punting hasn’t correlated very strongly with Super Bowl wins for the Steelers. And, as you can see, Harry Newsome’s punting average in 1988 was almost 5 yards above the NFL average, yet it didn’t help the Steelers avoid their worst season since 1970. 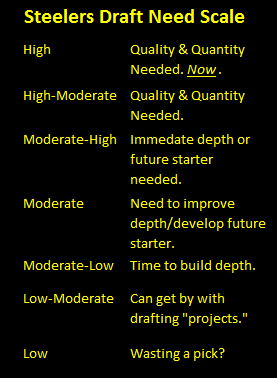 The Matt Feiler signing is largely an academic exercise. Feiler was set to become an exclusive rights free agent this march, which essentially means he would have had to sign with the Steelers provided they made him a veteran minimum offer. 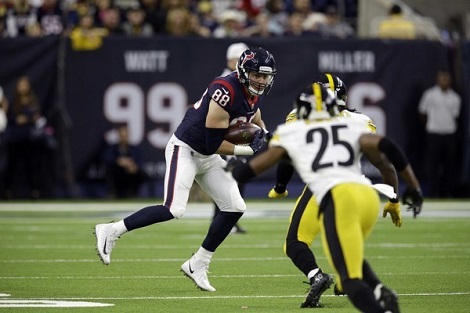 Feiler has been in the league since 2014, when he latched on with the Houston Texans as an undrafted rookie free agent. He spent 2014 on Houston’s practice squad, but got cut before the start of the season, where he joined the Steelers 2015 practice squad. The Steelers kept Felier on the practice squad throughout 2015 and he started 2016 on the practice squad where he was activated in October, although he did not see action. In 2017, Felier made the Steelers 53 man roster and appeared in 5 games, including a start in the season finale against the Browns. The move was expected given that the Steelers are facing the impending departure of Chris Hubbard. The big story leading into the week following the Steelers Thursday Night trashing of the Tennessee Titans was who would lose their roster spot when the Steelers activated rookie cornerback Cam Sutton from IR. Of course the story took an unexpected twist before the day ended…. On Steel City Insider, writer Jim Wexell focused on L.J. Fort whose been cut and resigned several times and Daniel McCullers, who hasn’t been active yet. He also mentioned backup tackles Matt Feiler and Jerald Hawkins. And on his message board, most of the talk focused on the backup tackles. The fact that the Steelers added offensive tackle Jake Rogers only fueled that fire. 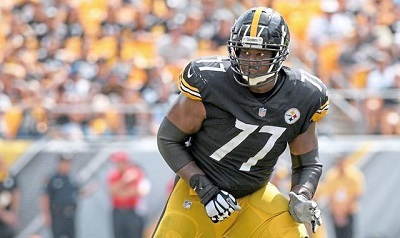 The NFL suspended Marcus Gilbert for 4 games for use of performance enhancers, meaning the Chris Hubbard will need to protect Ben Roethlisberger’s right side in the Steelers up coming matchups with Green Bay, Cincinnati, Baltimore and yes, New England. Marcus Gilbert stands to lose a sizeable chunk of change due to his suspension. He'll forgo $941,176 in game checks for the four missed weeks, plus (I think) another $90k in signing bonus forfeiture that he'll have to repay. There is a bright side to the story, however. With Marcus Gilbert off the roster for four weeks, the Steelers will not have to release anyone to activate Cam Sutton from the injured reserve list. The Steelers of course drafted Cam Sutton in the 3rd round of the 2017 NFL Draft. 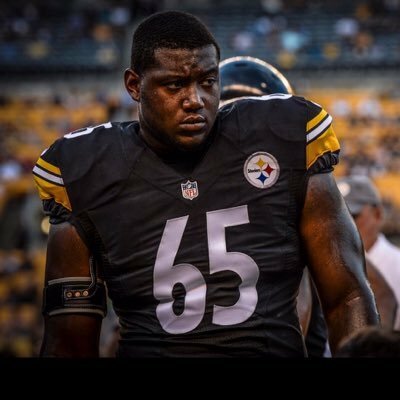 Sutton spent most of 2017’s training camp out injured, but saw playing time in both the Steelers 3rd and 4th preseasons games and made the final 53 man roster, only to be put on IR. Sutton began practicing with the Steelers 3 weeks ago, and Pittsburgh must decide to activate him or leave him on IR for the rest of the season. While expecting Cam Sutton to come in and contribute immediately is highly unrealistic, Joe Haden is out with a broken leg, leaving the Steelers shorthanded at cornerback with only William Gay and Brian Allen behind Coty Sensabaugh and Artie Burns.